What’s the deal with Destiny’s Gold Chests? Destiny is packed with secrets and the beta deliberately kept many of them obscure, but Bungie has now commented on one mystery. Destiny features respawning loot chests that you can track down in all PvE game modes. 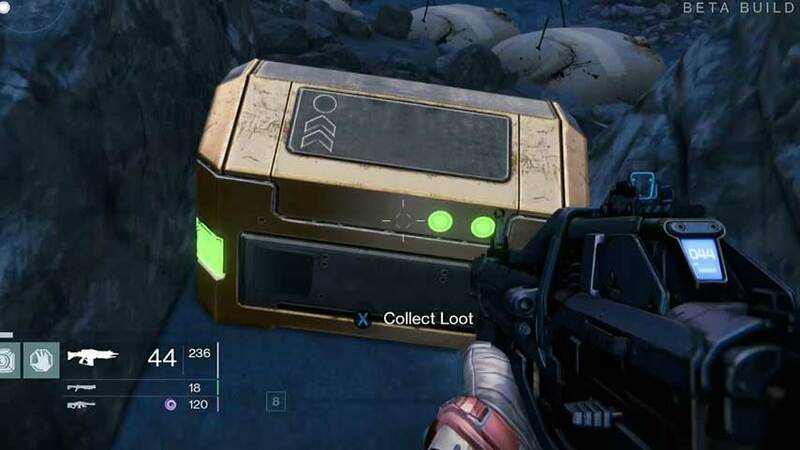 Most of these are just random treasure drops, and appear in slightly different spots within an environment every time you visit – hence the loot gathering Destiny “exploit”. There are a couple of special exceptions: Gold Chests, which appear as quite plain, bronze-coloured chests and contain slightly more valuable loot. The game doesn’t really make much of a fanfare about these chests, and once you’ve collected their contents they will be replaced by a generic chest, so it’s easy to miss them altogether. Take a look at a Destination’s map screen in the Navigator, though, and you’ll see a tally showing how many you’ve found – there are five to collect in the Cosmodrome, for example. “Each destination has several hidden Gold Chests for you to find. They have treasure inside, and if you collect them all, you might earn yourself a bigger prize,” he said. While Urk didn’t give any indication of what that reward might be, when I opened my fifth Golden Chest I received an uncommon ground vehicle. It was much faster than the generic Sparrow I’d been riding and less likely to blow up, too. I also saw two friends receive an uncommon ground vehicle while opening a Golden Chest in the Cosmodrome, so I’m guessing that’s the first chest collection reward. It’s good to have that made official. Destiny hits PlayStation 3, PS4, Xbox 360 and Xbox One in September.